Rockchip RK3368 may be the first 64-bit ARM processor, but it’s been designed to be an entry to mid-level SoC for 4K TV boxes, and has been found to significantly underperformed Rockchip RK3288 processor. 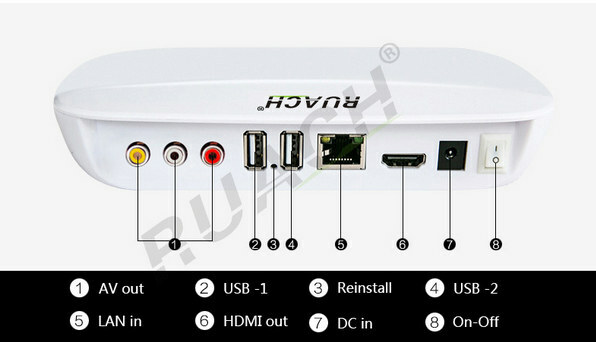 However, so far many of the products launched on the market have a price very similar to RK3288 TV boxes for equivalent hardware specifications, but Ruach A20s-H brings the price level of HDMI 2.0 capable TV boxes to around $50 shipped. The box runs Android 5.1, and ships with HDMI and AV cables, an IR remote control, and a power adapter. The connectors arrangement looks identical to the one used for X6 box for the Chinese market that was showcased a few months ago. 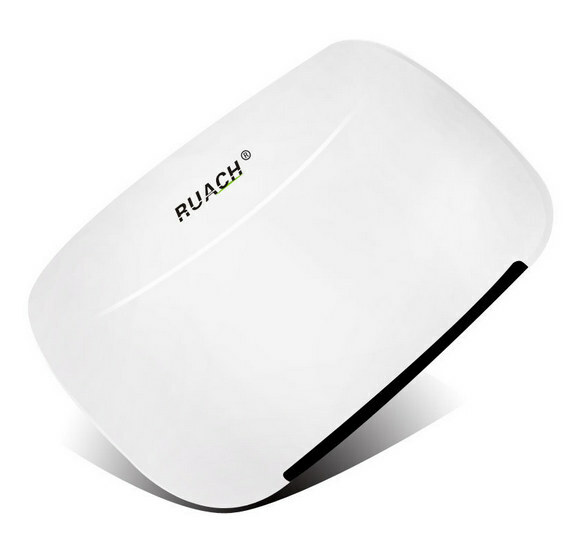 Shenzhen Ruach Electronics always sells products with a very low price, such as their Ruach A20s box based on RK3128 processor going for less than $35 shipped, and some Allwinner TV boxes before that. However, I’m not sure it can be recommended to most people, as there will be few firmware updates, if any. You can also check Ruach A20s-H page for a few more details. The GPU in this seems quite weak and also 1 GB of RAM is probably a bit tight these days especially if you want fullHD and also while it’s a octa core the A53 is pretty weak and at 1.2 GHz it will do badly in single threaded tasks. Best look elsewhere even if you spend $30 more for something like an Intel powered box . I’m suprised at how much it’s taking Chinese manufacturers other than Mediatek to come up with a good and powerful 64bit SOC. And the Chinese say Taiwan is a part of China, lol but let’s not get into this, to me Mediatek is Chinese even if you could say I’m wrong :D.
My point was that other than Mediatek no one else in that region where they make cheap SOCs has yet to create a powerful 64bit SOC…. all we get are those puny ones that aren’t really all that great. they target different market segment AFAIK. MTK SOC use mainly for tablets and phones (soo they need gaming capabilities). others (RK, AML, etc…)is used for general usage & media consumption. (tv boxes and tablet, car cpu, embeded,etcc….). so it is understandable if most of their product is entry level soc. H.264 up to HP level 5.2:[email protected] (4096×2304) it seems the same as hi3798m video level but change CPU to A53. The industry-leading quad-core ARM® Cortex® A53 64-bit CPU provides up to 15K DMIPS for the operator to deploy Android TV/Android Open Source Project services and HTML5-based feature-rich media applications for an outstanding TV experience. The HiVXETM2.0 video engine supports 2160p60 HEVC and VP9 decoding, 1080p PIP, and transcoding capability for flexible video sharing and playback. A multi-core ARM® MaliTM-T720 GPU with OpenGL ES3.1/2.0/1.1/1.0, OpenVG1.1, EGL, and ImprexTM2.0 PQ engine, optimized for the Android gaming ecosystem, makes it possible for the operator to provide extreme gaming services for end users. A next-generation security engine that supports a secure video path with TrustZone, and hardware based video watermarking technologies that are in compliance with recent MovieLabs UHD premium service-delivery requirements. A strong portfolio of software development kits (SDKs), including Android TV, Linux® middleware, and RDK enables operators to quickly deploy services and applications across all screens. Providing Android STBs for multiple generations since 2010, HiSilicon SDKs are stable and easy to use. hisilicon, give me a break. They perform awful in himedia devices with no support. i have Q5 with great support ,i think is best android player: picture quality, full 3d, audio hd , 23,976fps support. last firmware is 11 september 2015. Please tell, where does one get the support from himedia? Now there’s the thing, there’s a Chinese box and a Euro Box (2 diff versions, why???) Who knows how to tell the difference since opening the box to check the board voids the warranty and hence I do not know and cannot find out what version of the himedia Q5 I have. I bought the box in an English speaking country in Asia when they first came out in Oct 2014 (not in China) and who knows how many revisions of the board they have made since then. The supplier I bought my box feigns to know nothing of the box version, does not even have the original firmware for my box to provide to me. Without a possibility to restore the original firmware in the event of something going wrong during a flash. It should that I should be able to go to himedia website to get all the info and at least an original firmware for their product but this just seems not to be the case. I am stuck with this crappy unsupported Himedia (with a crappy unsupported hisilicon chip) device and will continue to slate and not recommend their products. same CPU but differente main board. 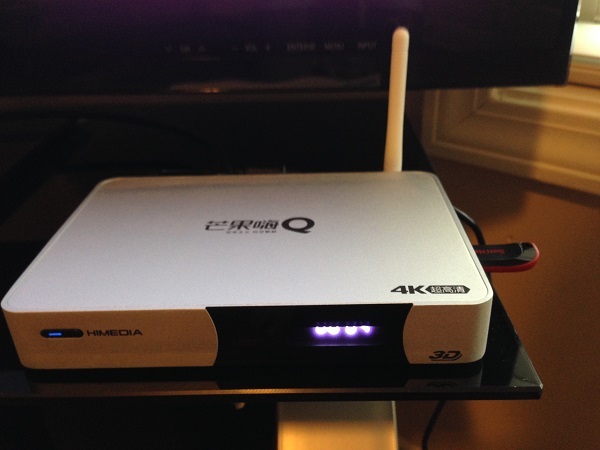 Q5 3D4k chinese version have:logo and remote control in chinese, IPTV app China,no playestore.